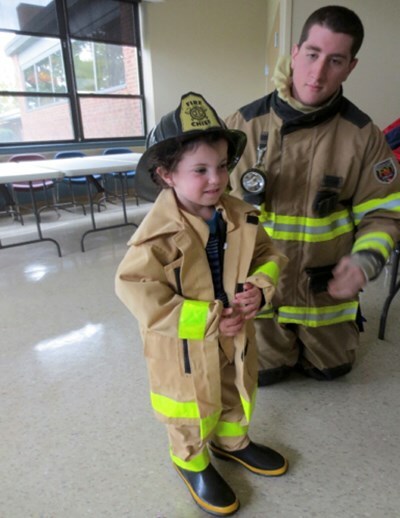 Safety Town is a nationally recognized safety awareness and education program offered by the Orange Early Childhood Center for children entering kindergarten in the fall of 2019. Children will learn important safety basics including: fire safety, bus safety, water safety, pedestrian safety, poison safety, playground safety, bike safety, and gun safety. Children will visit the following community places to learn more about each topic: Pepper Pike Fire & Police Stations, Orange High School Outdoor Pool, and Playground World. Children will also practice riding the bus and driving cars on our mini Safety Town. Space is limited, register early. All children will receive a Safety Town t-shirt to be worn daily. A detailed information packet will be mailed out at the beginning of summer. Nonresidents may register after April 15. Orange Early Childhood is looking for responsible, hardworking teens and/or college students to work with Safety Town staff and local police officers to help teach children entering Kindergarten about safety. This opportunity is a perfect way to earn community service hours as well. Volunteers are required to attend a training session on July 26th and volunteer the entire week of July 29 - August 2 from 8:30 am-12:30 pm. Volunteer applications for this opportunity will be available on our website, at www. orangerec.com in mid-February. For more information, contact Orange Early Childhood at 216-831-8601.